Green Investment Group, Inc., a privately held company focused on redeveloping Brownfield sites in the U.S. and Canada, today announced that two of its affiliate companies - SSPM New Richmond, L.P. and CircleGreen, LLC - have each completed redevelopment efforts of Brownfield sites in their respective parts of North America. 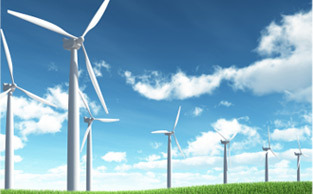 Green Investment Group, Inc. affiliates purchase closed industrial properties and work to remediate and redevelopment the sites with the intention of attracting companies in renewable, clean energies and advanced technologies. The company works to repurpose these properties with the intention of attracting sustainable jobs in industries that best complement the needs of the local economy. Green Investment Group and its affiliates specialize in redeveloping former pulp and paper mills. SSPM New Richmond, L.P., purchased the 225-acre site of the former Smurfit-Stone pulp in New Richmond, Quebec in January 2010. Since then, representatives of SSPM New Richmond have worked closely with local and provincial leadership to determine the best use of the property. With an initial investment of $3 million, SSPM New Richmond made an additional investment of $2 million to clean up, remediate, reconfigure and reorganize the site for local businesses specializing in construction, renovation and repair. By August 2010, SSPM New Richmond attracted its first tenant, Fabrication Delta, to the site under a lease agreement for 100,000 sq. ft. warehouse and a storage facility of 20,400 sq. ft., brining nearly 200 jobs to the region. In an effort to expand its operations in New Richmond, the company purchased the remaining acreage at the site and plans to continue its global operation of manufacturing large industrial parts for the wind, paper, mining, steel and forest industries. To date, the New Richmond site has been used by Fabrication Delta solely for the production of posts to support wind turbine towers. In addition to Fabrication Delta, SSPM New Richmond also attracted Gaspésie Diesel that specializes in rail car restoration. The company purchased land on site and built a $3 million building. PEC Construction also purchased a portion of the property. PEC Constructionserves the New Richmond region with an array of services, including civil and municipal engineering, excavation, marine works, snow removal and equipment rental. In addition, tenant DJL Gaspé is on site and specializes in paving and crushing operations and oversees a dozen quarries, including the Gaspé quarry, which produces 600,000 tons of crushed stones annually. DJL Gaspé, with a work force of 150 employees, also oversees the operations of a major export project, which ships granulates by sea from Gaspé Quay. 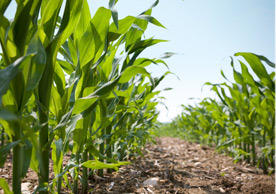 In Circleville, Ohio, the Green Investment Group affiliate CircleGreen,LLC, recently sold the final remaining acres of property to Cargill, an international producer and marketer of food, agriculture, financial and industrial products and services. Other acreage of the nearly 300-acre site was sold to a local cattle rancher, completing Green Investment Group’s efforts to repurpose the property it purchased in 2006. Also a former Smurfit-Stone pulp and paper mill, the site has been part of an environmental remediation effort completed by CircleGreen under a voluntary program of the Ohio EPA. A “No Further Action” letter was issued by the Ohio EPA allowing CircleGreen to complete redevelopment efforts at the site in fall 2013. In addition to the Circleville and New Richmond properties, Green Investment Group affiliates also own former Smurfit-Stone facilities in Alton, Ill., Carthage, Ind., Missoula, Mont., Portage-du-Fort, Quebec, and Bathurst, New Brunswick. The company has seen progress at its site in Portage-du-Fort, Quebec where it has attracted companies in renewable energies to the site, including a construction recycling company and Trebio, a manufacturer of energy wood pellets to supply to the residential, commercial, industrial and institutional markets in Canada, the United States and Europe.